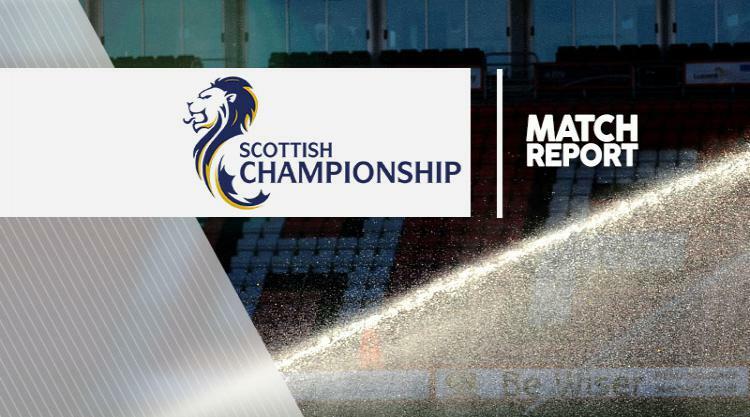 Stephen Dobbie's controversial goal was the key moment as Raith Rovers and Queen of the South played out an otherwise uninspiring 1-1 Ladbrokes Championship draw. Ryan Hardie fired Rovers into a 10th-minute lead, finishing right-footed despite Jordan Marshall's attempt to block. Queens equalised when Dobbie curled home directly from a 24th-minute free-kick, though the goal was disputed as keeper Pavol Penksa tipped the shot against the post and Rovers insisted the ball had not crossed the line. Christopher Higgins' header and Derek Lyle's close-range effort straight at Penksa were the best efforts of a low-key second half, while Craig Barr tried his luck for Raith. The final chance of a winner disappeared when the visitors' Dominic Thomas shot wide and both teams settled for a point.